Here is my finish for January-En Provence! A Bonnie Hunter Mystery started in November 2016. I love her mystery quilts and have been participating for the last 9 years. I have not been disappointed yet with how they have finished! 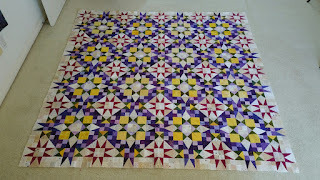 For me, a finish is completing the quilt top. Getting it quilted and bound is another story, as it goes in the que, behind all my customer quilts that need to be finished. Looking forward to working on my #9 UFO this month: Road Trip. 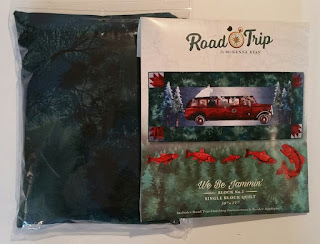 Your mystery quilt looks lovely! 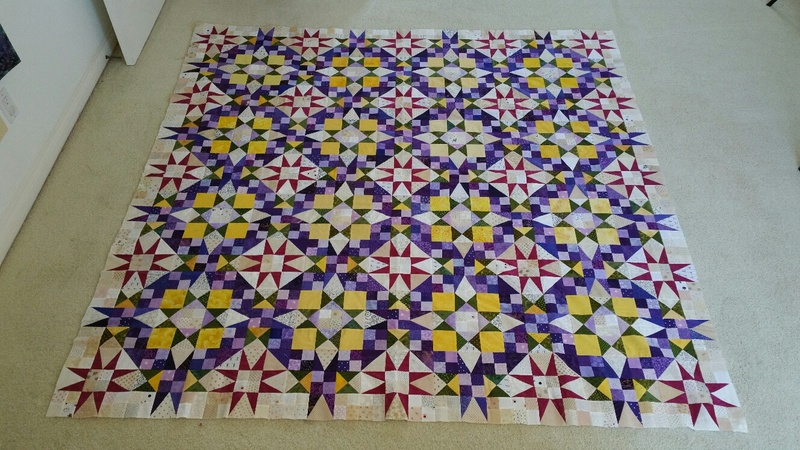 Your mystery quilt looks fantastic - great finish!